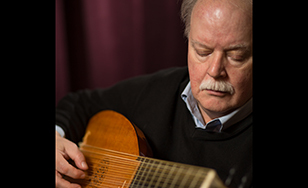 A faculty member in the music department at St. Scholastica will present a lute recital at 7:30 p.m. Saturday, March 25 in the Music Hall, room 3625 of Tower Hall on campus. Joining faculty member Ed Martin will be tenor William Bastian, and they will perform solo lute works and lute songs from the Renaissance. Musical selections will include Italian, French, and English works. Composers represented include John Dowland, Thomas Campion, and Besard. The program is free and open to the public. For more information, contact Martin at edvihuela12@gmail.com.